are produced of a corrugated carrier of steel and can be coated completely or partly according to the area of application with a layer on both sides. 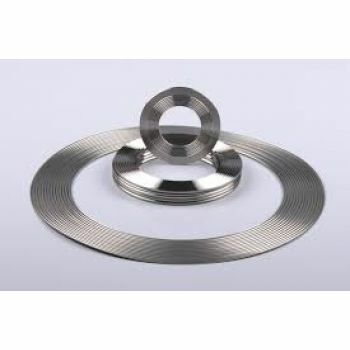 The production of corrugated metallic gaskets is possible in many forms of circular rings, ovals as well as long ovals or frames. Metallic corrugated gasketsThe gasket consists of a stainless steel wave stainless steel plate with a graphite foil seal seat on both sides. The graphite layers and metallic core profile are adjusted in such a way that a wave crest overlap of 0.1 to 0.2 mm is guaranteed in the restraint condition. This achieves a very low diffusion cross-section. I..